Oscar Nominee! 2. Best Actor (Denzel Washington); Best Original Screenplay. 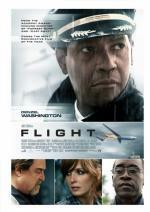 FLIGHT tells the redemption story of 'Whip', a commercial airline pilot who pulls off a heroic feat of flying in a damaged plane, saving 98 lives on a flight carrying 106 people.